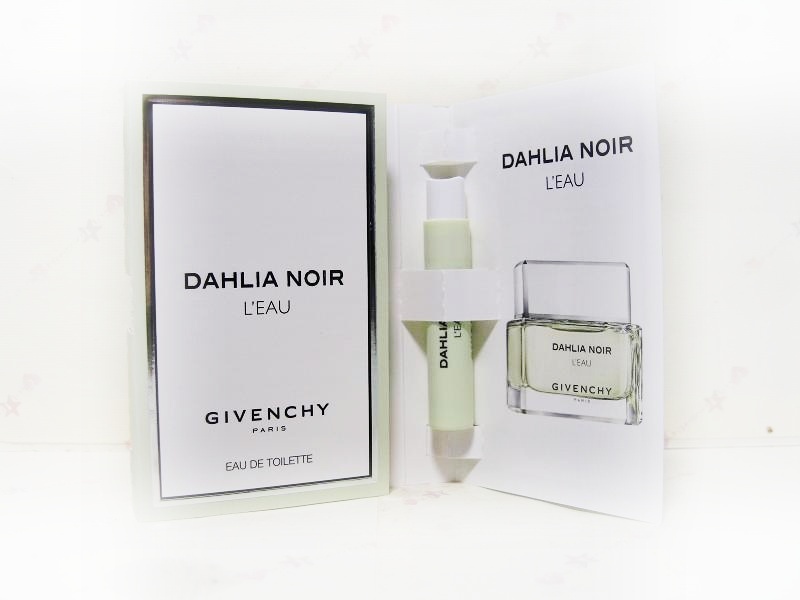 After Dahlia Noir fragrance from 2011 and Dahlia Noir Eau de Toilette edition from 2012, Givenchy presents a refreshing version Dahlia Noir L'Eau in spring 2013. 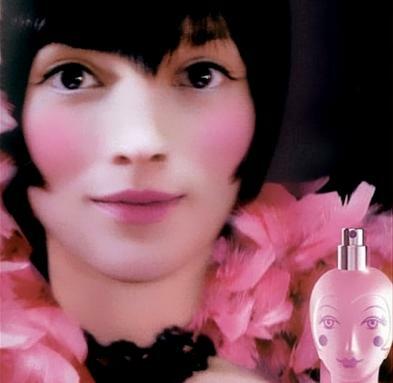 This perfume line, according to the idea of creative director Riccardo Tisci, embodies a mysterious and unusual woman as well as an imaginary flower that combines dark danger and tenderness, purity and sensuality. Dahlia Noir L'Eau is more vivid, livelier and more fresh scent than the original, but it is still elegant and sensual. With this composition Francois Demachy wants to show the delicate side of the dangerous flower black dahlia. Top sparkles with cool crystal citruses and neroli, which lead to the floral heart of rose petals. 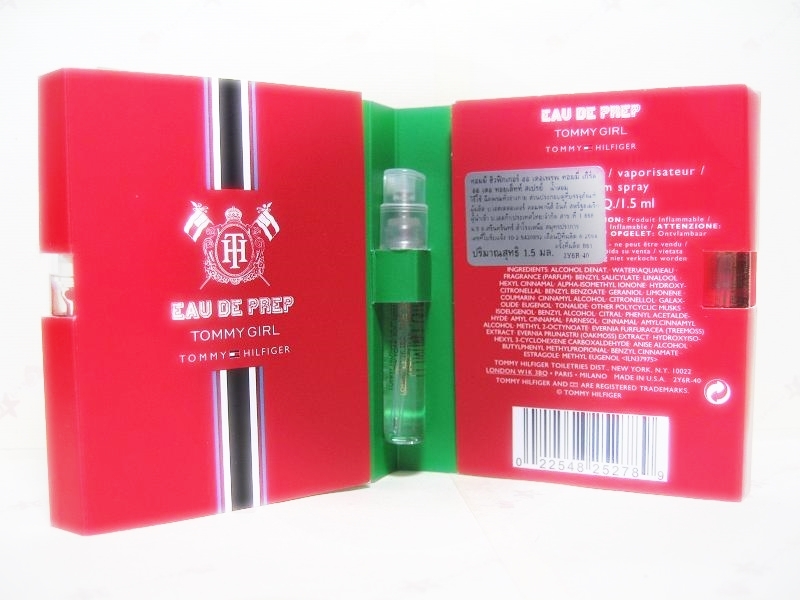 The base is made of patchouli, cedar and musk giving chypre character to the perfume. Young American singer Taylor Swift unveiled her first fragrance, Wonderstruck, in 2011. 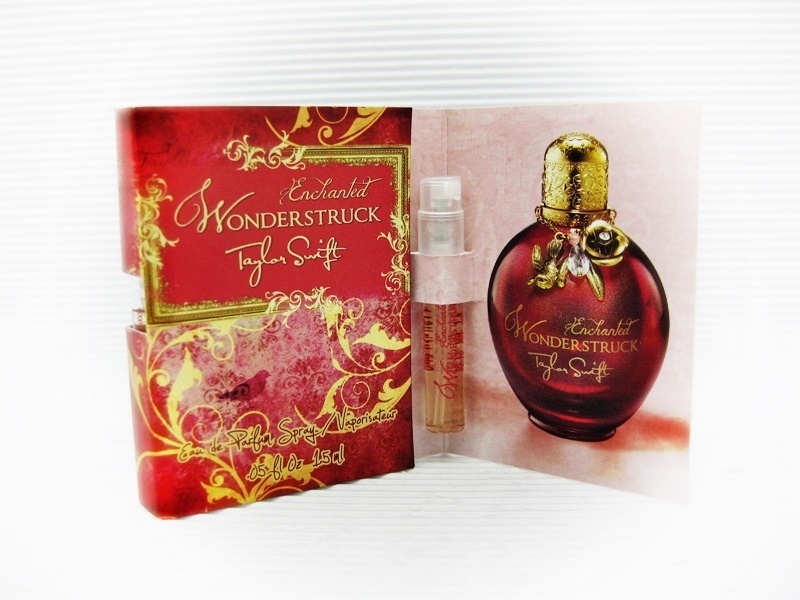 Wonderstruck Enchanted followed as its flanker, launched on the market in Fall 2012. Taylor by Taylor Swift is a new fragrance, coming out in June 2013. Unlike the first two, which were inspired by fairy tales, Taylor fragrance is more personal to the singer because it reflects her own style. Taylor is a sweet, floral-fruity fragrance with a woody base. It opens with alluring aromas of lychee, tangerine and magnolia petals, with peony, hydrangea and vanilla orchid in the heart and a base made of sandalwood, apricot nectar, cashmere musk and soft woods. 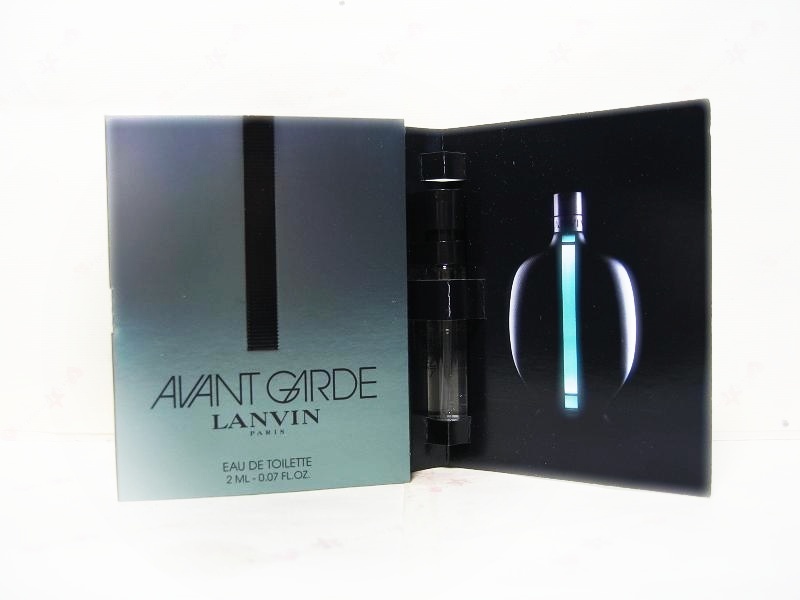 The new composition is oriental – gourmand, signed by IFF perfumers Loc Dong and Jean-Marc Chaillan. It opens with notes of wild berries, pink poppy and passion fruit. Heart notes include peony blossoms, sugar-glazed champaca petals and white freesia. White musk, hypnotic vanilla and blonde woods construct the perfume’s found. Gentlemen Only is an elegant woody fragrance that smells like woods of cedar, vetiver and patchouli. With the beginning of 2014, its enhanced version enters the market with added touch of smooth leather. Gentlemen Only Intense, though, never loses its refinement and elegance. Gentlemen Only Intense, announced as both bold and subtle, retains the signature woody character reinforced with some spices, leather and amber trail. 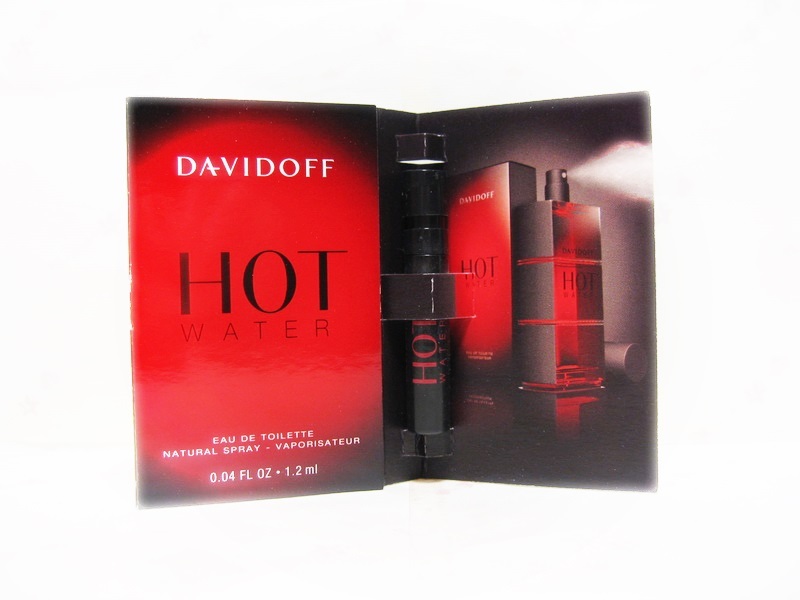 This fragrance strives to emphasize sensuality and sexiness of a man without losing the subtlety. The composition opens with green mandarin oil, black pepper and birch leaf. Its magnetic heart includes notes of patchouli, Texas cedar and leather, placed on the sensual base of tonka bean, amber and incense. Givenchy is launching a new fragrance Dahlia Divin in September of 2014. Dahlia Divin follows the theme and the fantasy of the Dahlia Noir line that was started in 2011. Dahlia Divin's composition is centered around a Sambac jasmine note on a woody-chypre base. It was created by perfumer Francois Demachy. Mirabelle plum is at the opening, leading way to the heart of Sambac jasmine and white flowers. The base is woody, made of sandalwood, vetiver and patchouli. Take a deep breath and rediscover the sensation of walking by the seashore…Relive the exhilarating rush of the ocean with Eau Océane, an uplifting, vivifying body fragrance! 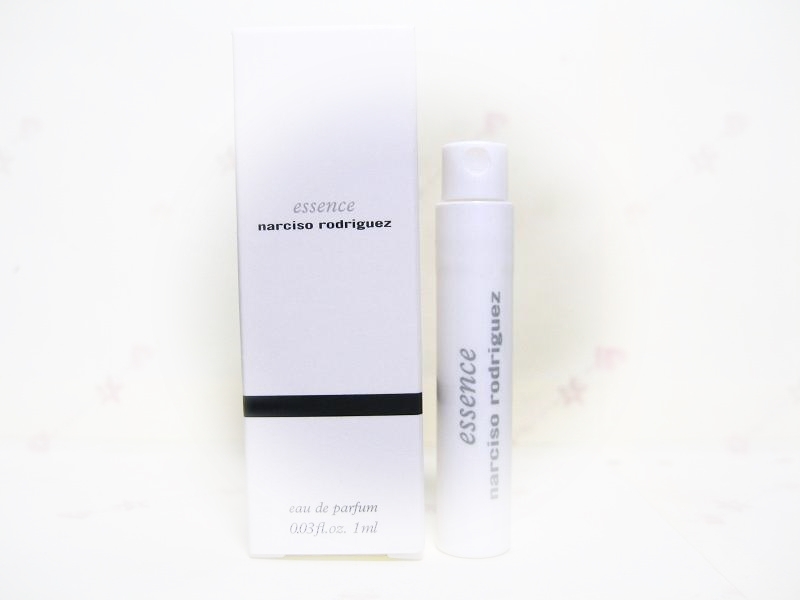 An aromatic mist with all of the benefits nature has to offer the skin. 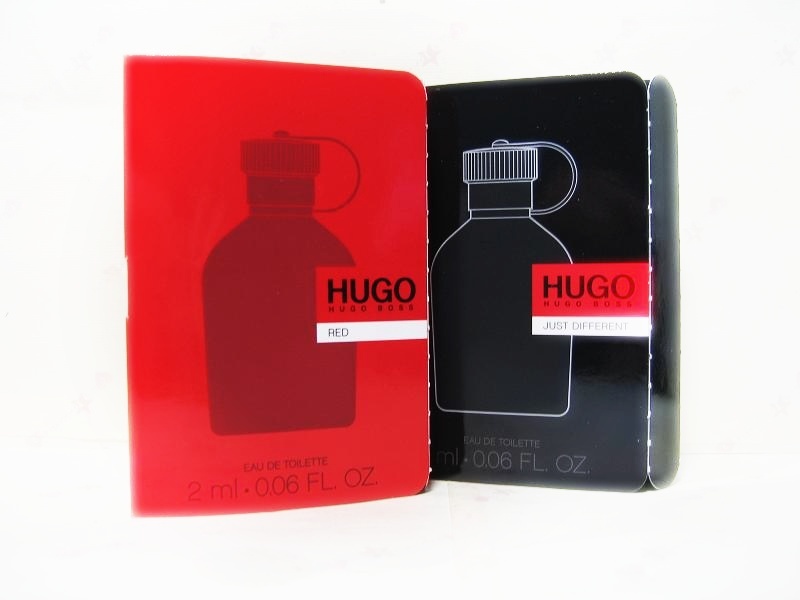 Infused with glycerin, this body fragrance is both vivifying AND moisturizing. Inspired by a new generation of Italian It girls, Valentina embodies a rebellious Italian heiress. Cool, free-minded and careless, she drives us on her quest to experience today's Italian dolce vita, "the good life," with utter freshness, irreverence and a whole lot of attitude. - Top: Calabrian bergamot, white alba truffle. - Middle: Amalfi orange blossom, tuberose, jasmine, wild strawberry. 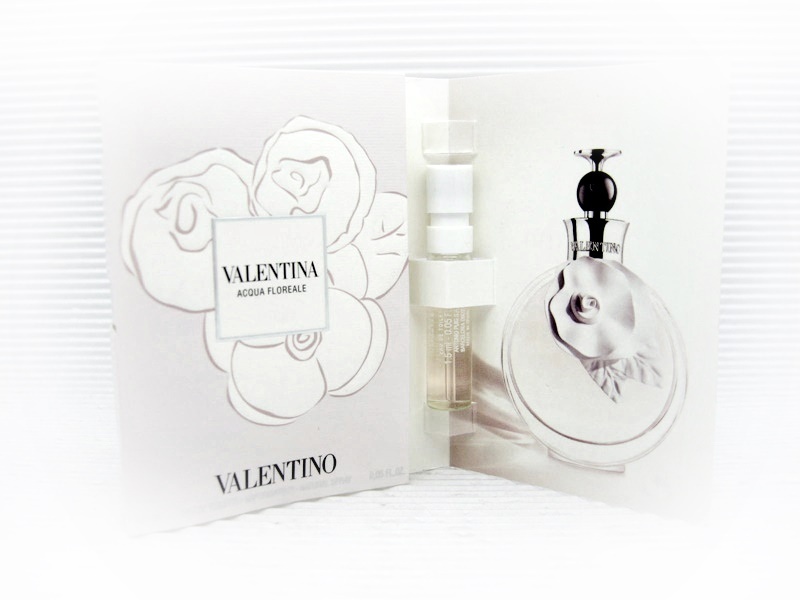 A fresh, bright and airy interpretation of Valentina, this fragrance exalts the youthful spontaneity of Valentina’s personality. A simple elegance, the fragrance is a floral bouquet, composed of Sambac Jasmine, tubereuse flower, orange blossom and Nyamphea flower, refreshed by a fruity touch & enriched by an intense heart of Patchouli & Vanilla. 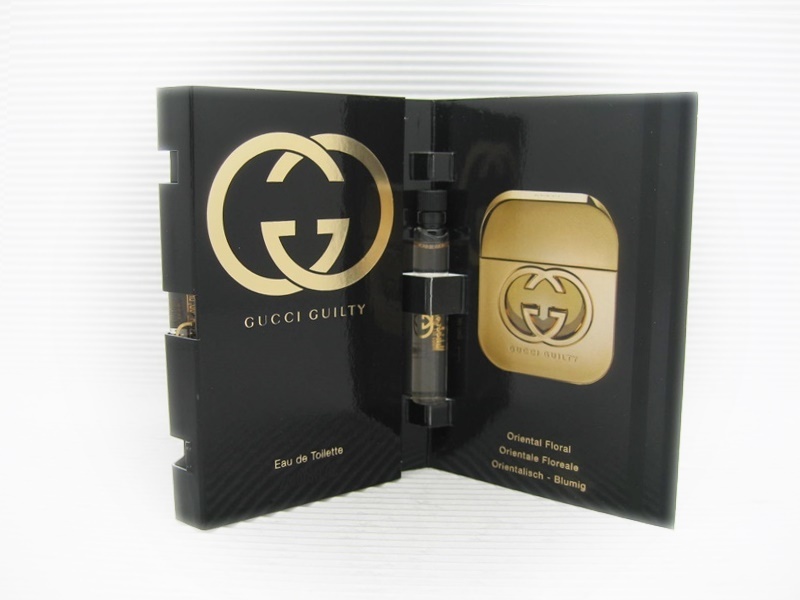 Gucci Guilty Intense was launched in 2011. EAU DE LACOSTE SENSUELLE follows the launch of the original Eau de Lacoste (in the beginning of 2013). 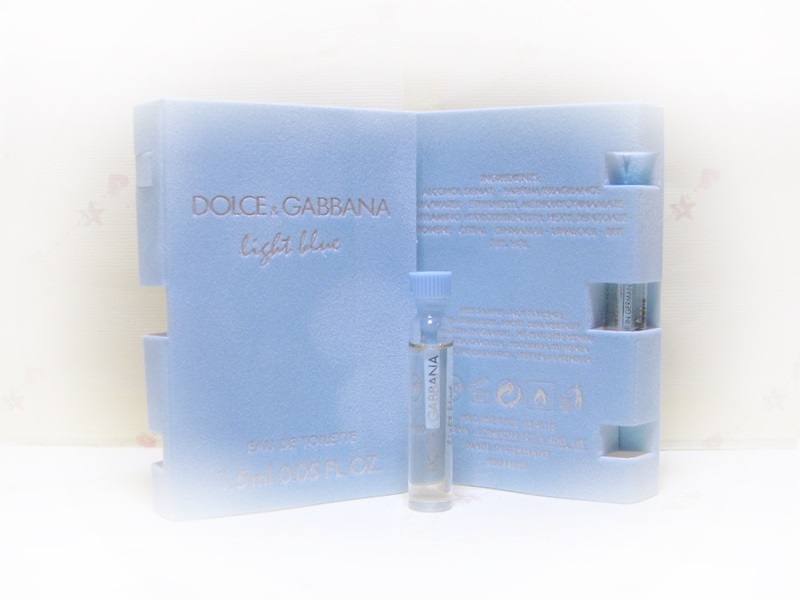 The fragrance is housed in a bottle of the same design, but in a different color, deep blue. The fragrance has become darker and the original sweetness of fruits has been replaced with an appealing gourmand touch of nougatine. 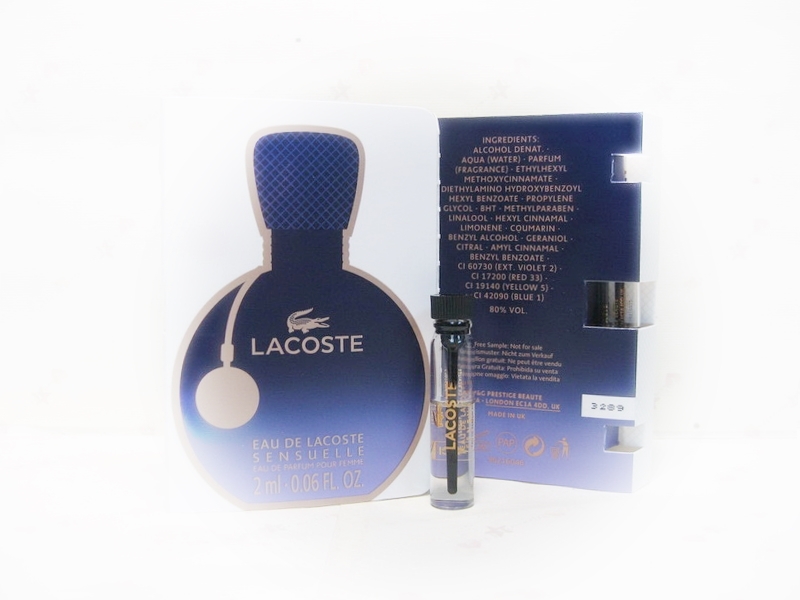 "EAU DE LACOSTE SENSUELLE accentuates an elegant but casual appearance, with a soft twist that is reminiscent of a joyful evening. Beginning with the refreshment given by an evening breeze, the fragrance opens with sparkling, vibrant pink pepper and contrasting tart blackcurrant. As the sun begins to set, EAU DE LACOSTE SENSUELLE evolves and the atmosphere changes: the clean elegance of Turkish rose combines with the delicate essence of sweet pea and the new and unique floralcy of Gladiolus Inflexus. After sunset, the intensity of the evening and all that it has to offer is felt. The soft sensuality of nougatine blends with the rich comfort of amber to provide the perfect fragrance for to set the stage for the night ahead." 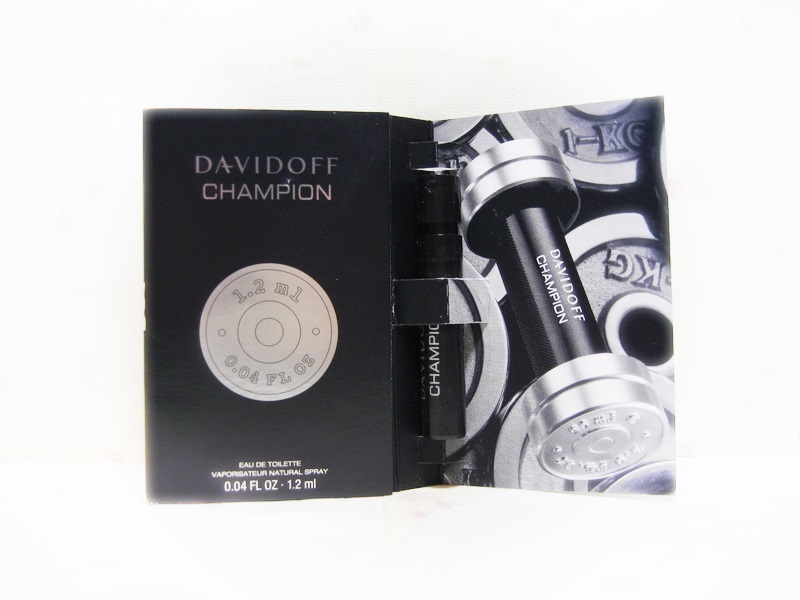 Champion was presented in 2010 as a fragrance for men which introducing fresh, citrusy accords (lemon, begramot). Its heart is enriched with clary sage in union with galbanum, while a base closes with cedar and oak moss. 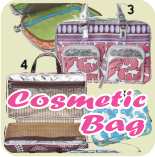 The fragrance is available as 50 and 90 ml EDT, along with face and body care products. The flacon is a symbol of masculinity, energy and strength, created of silver metal and dark glass, designed to remind us of sports activities. 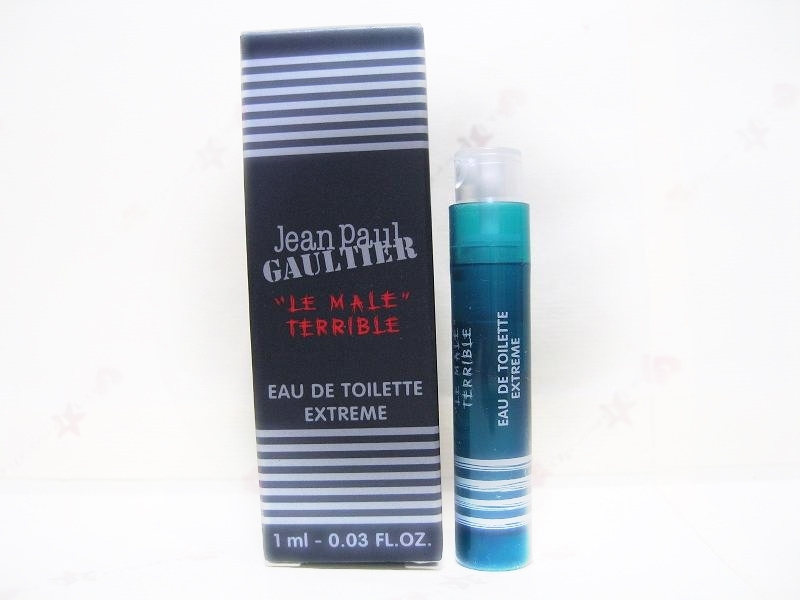 The nose behind this fragrance is Aurelien Guichard. Desire by Dolce&Gabbana is a deeply feminine fragrance that illuminates everyday moments into something special. A blend of luxurious ingredients as potent and captivating as the emotion of desire itself leads us on a journey of opulent seduction. Fresh top notes of mandarin, lychee, and bergamot play softly against the sweet innocence of lily of the valley. At the core of an intense heart is a trio of ultrafeminine florals. The elegance of madonna lily and the heady opulence of Indian tuberose are blended with velvety jasmine and addictively sweet plum nectar. Adding an indulgent richness to the base is a gourmand note of vanilla infused caramel, melded with warming sandalwood, and a touch of mysterious musk and cistus labdanum. 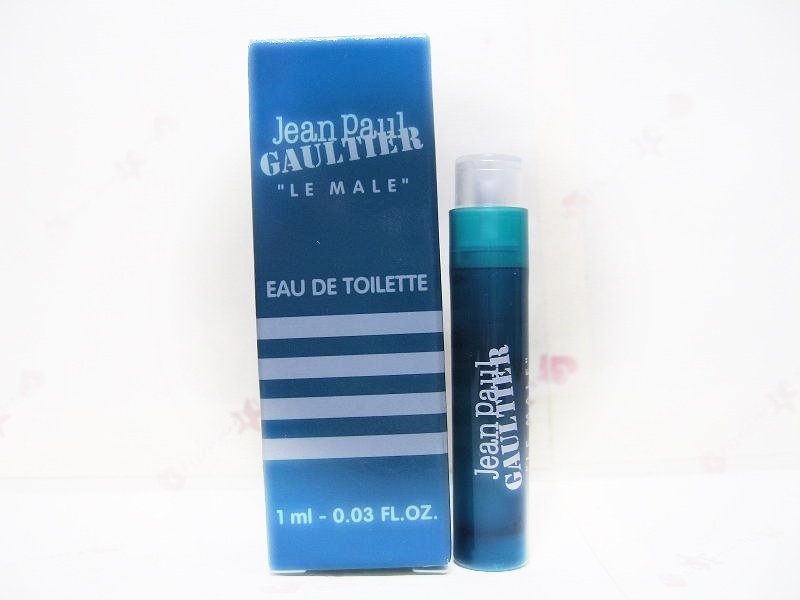 Mandarin, Lychee, Bergamot, Lily, Tuberose, Jasmine, Plum Nectar, Caramel, Sandalwood, Musk, Labdanum. 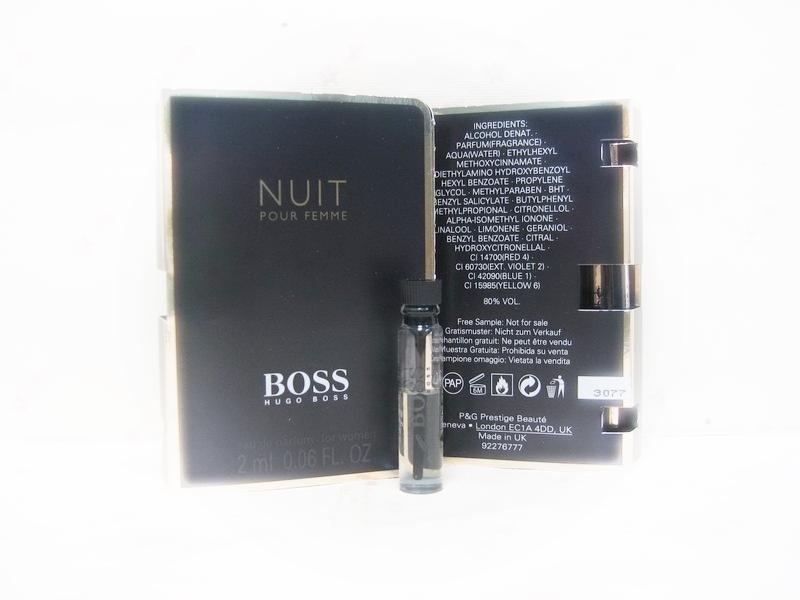 BOSS Nuit Pour Femme, the new women's fragrance from Hugo Boss, is inspired by the eternal elegance of little black dresses and confidence that it gives to women. 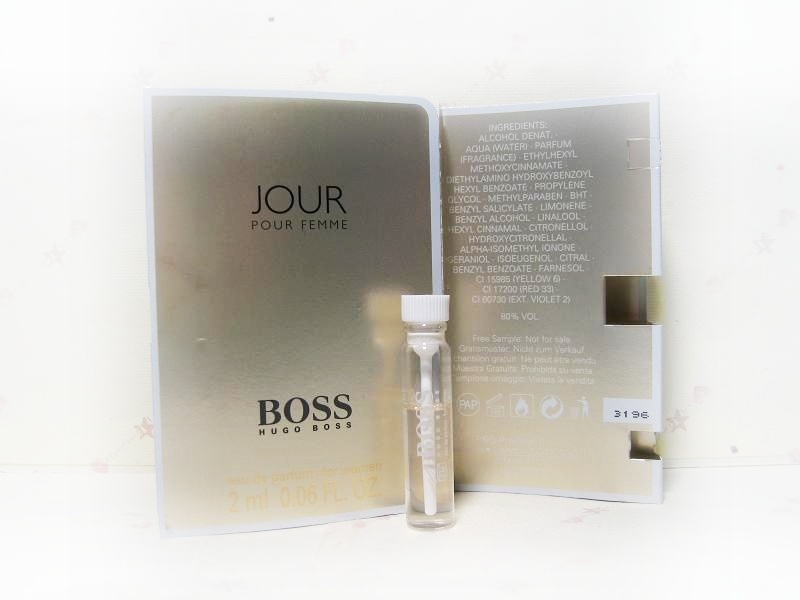 The perfume is created to complete the sophisticated smartness of a woman before her evening out. 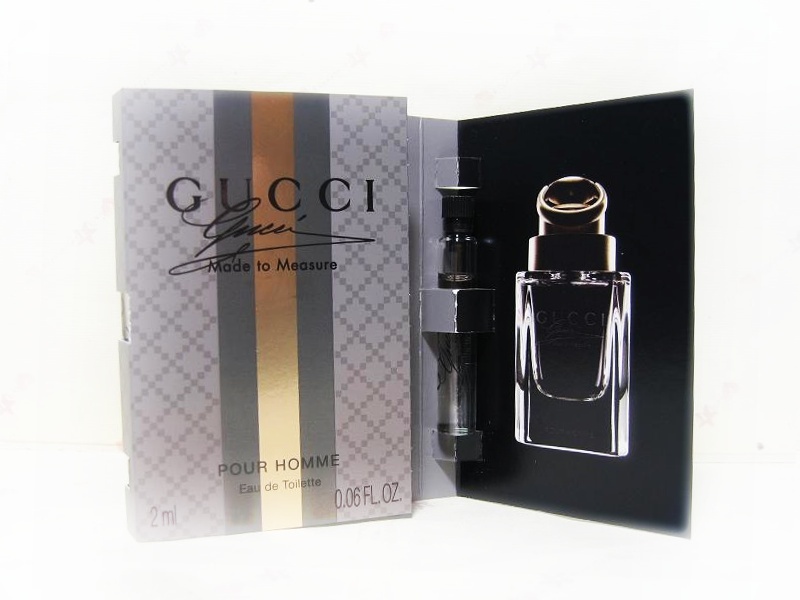 The fragrance begins with modern, elegant and fresh sparkling notes of aldehydes and peach. The heart radiates feminine white flowers, jasmine and sensual violet. The base consists of crystalline moss and creamy sandalwood. After the initial Place Vendome fragrances in Eau de Parfum concentration, the house of Boucheron also presented Place Vendome Eau de Toilette version. The fragrance is named after named after the address in Paris (Place Vendôme 26) where Frederic Boucheron opened his first jewelry store in 1893. 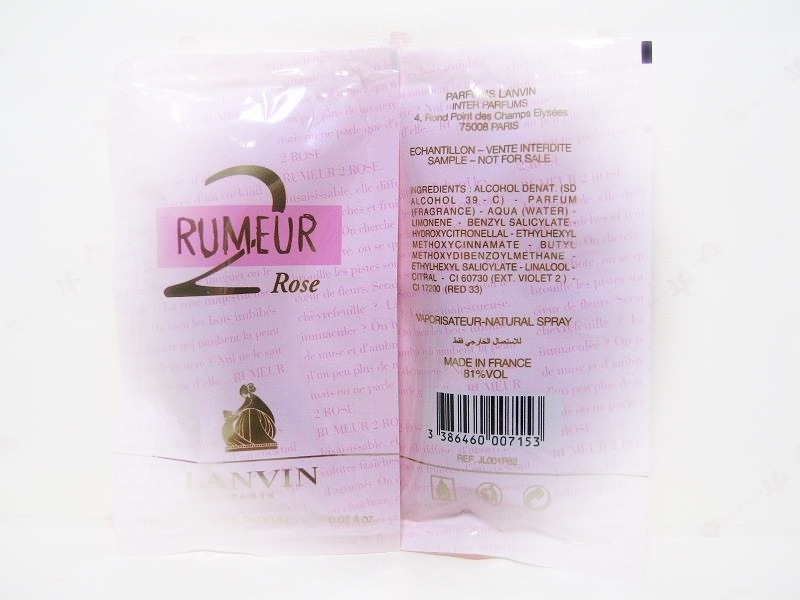 Behind both variants are the famous names of perfumery - Olivier Cresp and Nathalie Lorson. While the original fragrance is of floriental - woody character, the new version is a citrusy - floral - woody. It begins with a blend of yuzu citrus with osmanthus and peony. Blue iris, rose essence and jasmine petals bloom in the middle of the composition that finishes with cedar and white musk. This passionate, masculine fragrance full of emotions and determination was created for dynamic men who find themselves on fast roads of life. Advertising face for Scuderia Ferrari is Fernando Alonso, and the fragrance can be expected in perfume stores from August 2010. 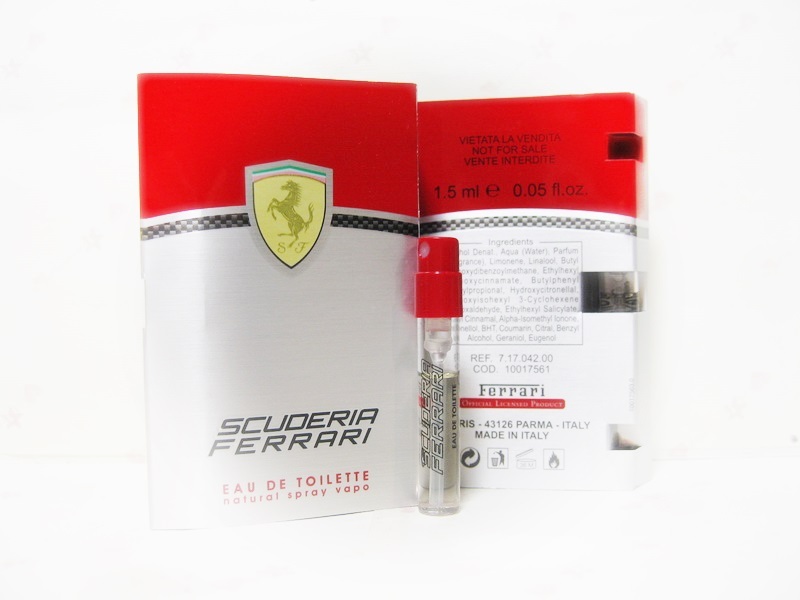 Scuderia Ferrari opens with luminous notes of Sicilian lemon, enhanced with green mandarin, lavender and cold mint. A heart blooms with intense aromas of Moroccan rosemary and pepper along with Egyptian geranium and black tea, while a base offers woody notes of Lebanese cedar and Guaiac wood. Sensual musk is in charge of accentuating masculinity, and tonka and amber accompany the fragrant collage with their warm nuances. 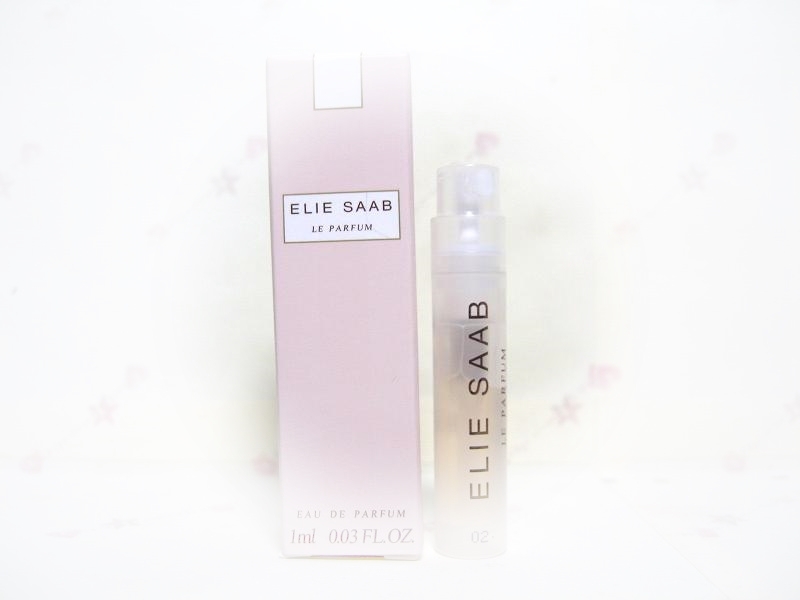 Perfumer of this fragrance is Karine Dubreuil. 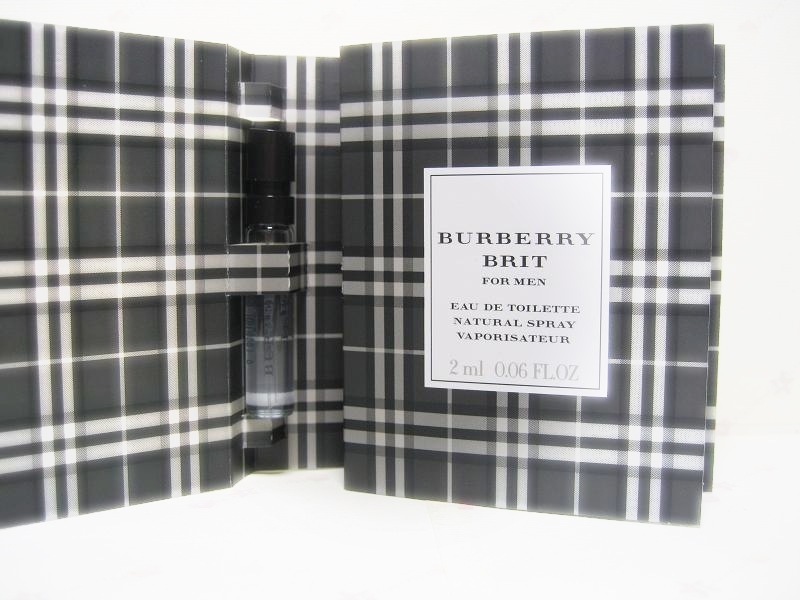 Fragrance My Burberry perfume for Women by Burberry was introduced in 2014. Burberry My Burberry is classified as Floral fragrance. 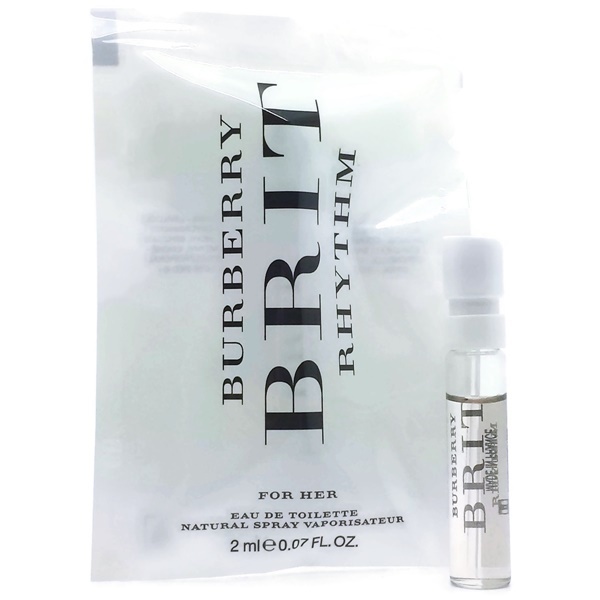 Scent notes of My Burberry Burberry include top notes of citrus bergamia, linseed flower, sweet pea, middle notes of freesia, geranium, quince and base notes of rose, patchouli. 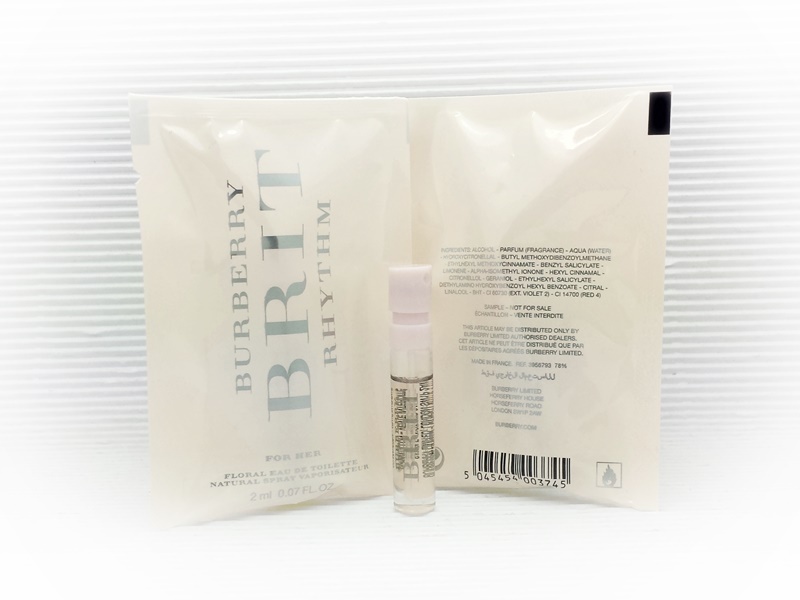 Burberry My Burberry fragrance composition is a creation of Francis Kurkdjian. The new Calvin Klein Downtown eau de parfum is sophisticated and extremely feminine, yet has a confident edge that sets it apart from the rest of the portfolio. Hailed as, “a signature classic for a real woman, sophisticated, distinct, and unique…with attitude,” this fragrance empowers with a classic brightness. Opening notes of Italian cedrat, bergamot, and neroli Tunisia orpur mingle comfortably together with nuances of fresh green pear and dewy watery plum. The journey continues with a contrast of pink peppercorn dusted over violet leaf and gardenia petals, enhancing the sense of feminine sophistication. Finally, the unmistakable signature of sensuality and attitude are brought to life with texan cedarwood, touches of incense, vetiver, benzoin laos orpur, and warm velvet musks, leaving behind a statement of confidence. Neroli Tunisia, Fresh Green Pear, Watery Plum, Gardenia Petals, Pink Peppercorn, Violet Leaf, Texan Cedarwood, Vetiver, Benzoin Laos Orpur, Musks. Calvin Klein Eternity For Women is inspired by the ring that Calvin Klein gave to his wife Kelly Rector on their wedding day, Eternity aims to capture the sensuality, happiness and love inspired by the act of love and marriage. 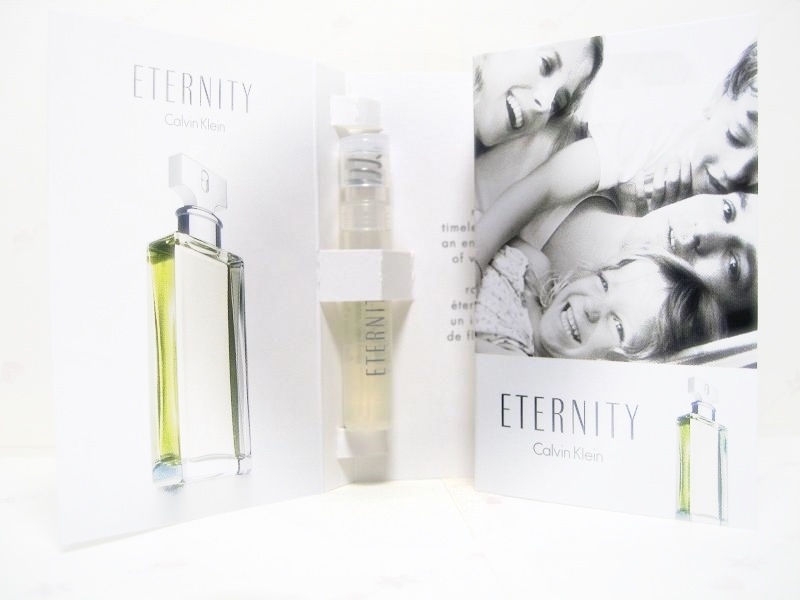 Calvin Klein Eternity For Women has a luscious blend of fresh cut grass, light fruit notes against a background of flowers and demure musk and sandalwood. 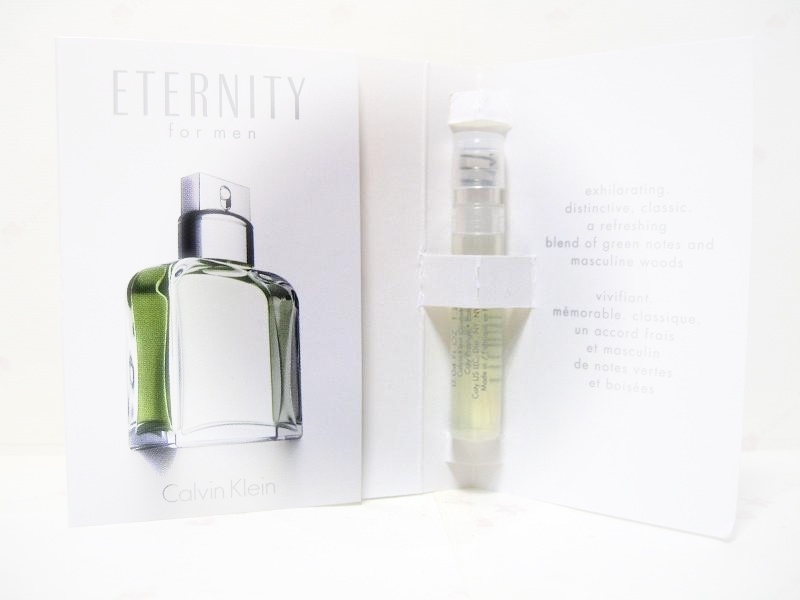 To these main elements Calvin Klein Eternity For Women adds freesia, grass, sage and lily and continues to blend with apricot, peach and patchouli, for a classic fragrance that will never date or date you. ประกอบด้วยโน๊ตของ mandarin, green fruits, lavender, coconut, geranium & marine. ผสมด้วย cardamom, rum accord, amber, leather, patchouli & musk. Green Mandarin, Pink Pepper, Nutmeg, Birch Leaf, Cedar Wood Texas, Heart Of Patchouli, Vetiver, Incense. The new fragrance was created to show three faces of a woman: inspiration, composure and ease, described with a beautiful blend of white flowers chilled with sparkling citrus. Lightness and freshness are presented with a combination of accented accords of lime and grapefruit blossom representing the liveliness of the first morning rays of light that radiate with positive anticipation. Inspiration is retold with a rich bouquet of white flowers, including flowers of freesia, lily of the valley and honeysuckle celebrating the femininity and beautiful diversity of life of every woman. Composure is described with a more powerful, masculine finish which includes accords of white birch and creamy amber. The flacon was created to remind us of hot summer night. 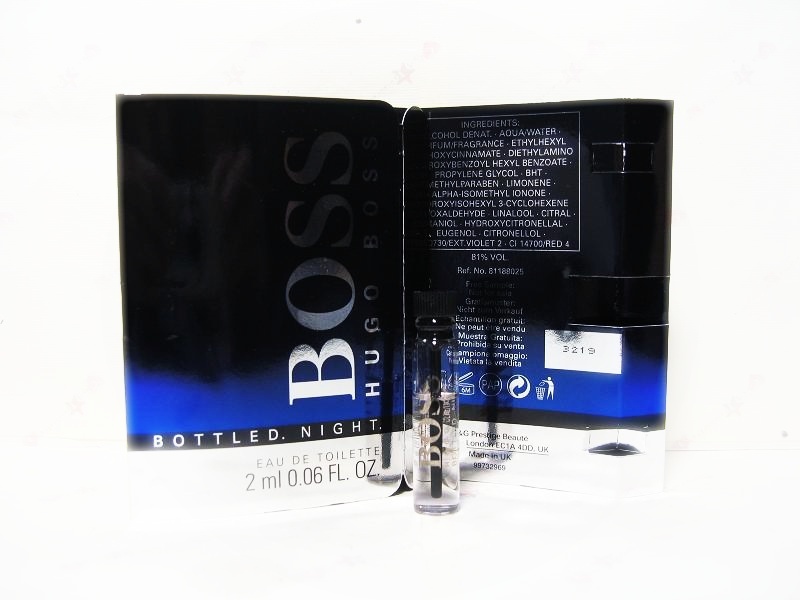 It is created of midnight blue and black nuances on characteristic glass flacon body (Hugo Boss Bottled – one of bestsellers in the world of fragrances – 60 million flacons sold). 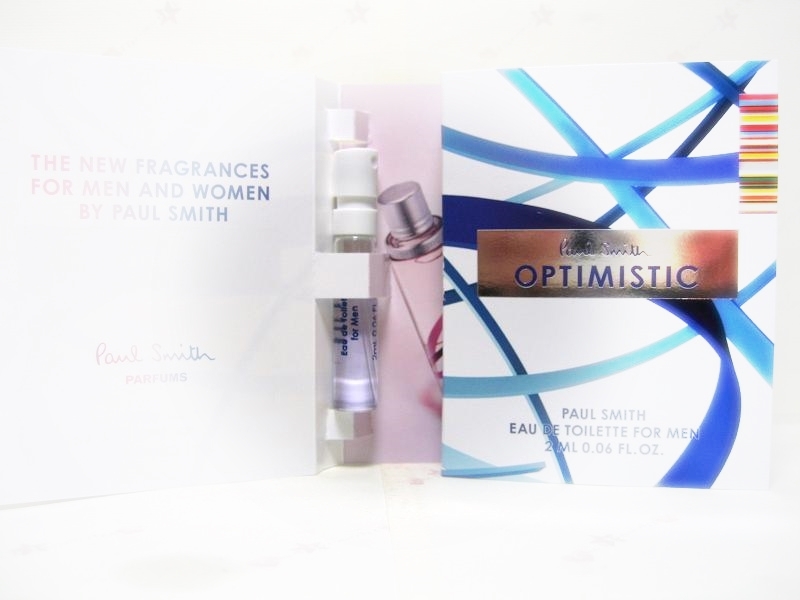 The fragrance is a vibrant, modern with a cool twist, made to “inspire whatever you do”. 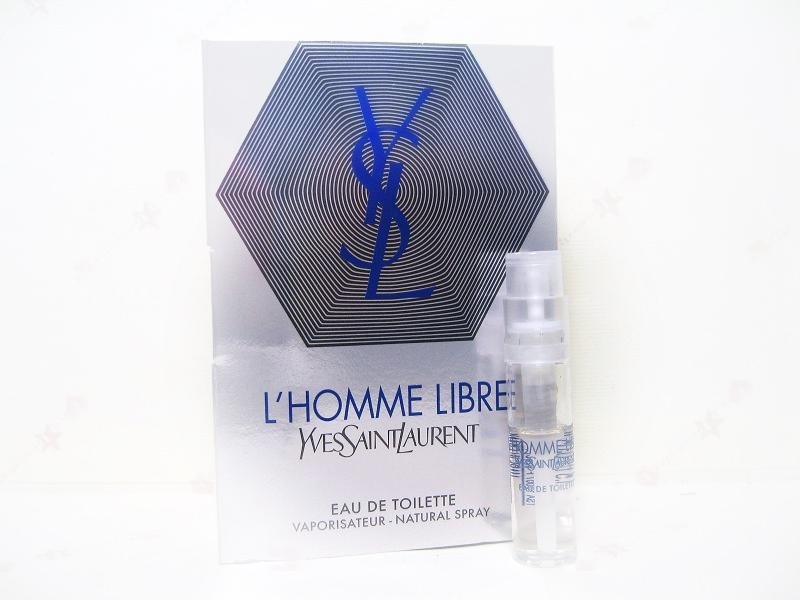 Is a Woody Aromatic fragrance for men. This is a new fragrance. 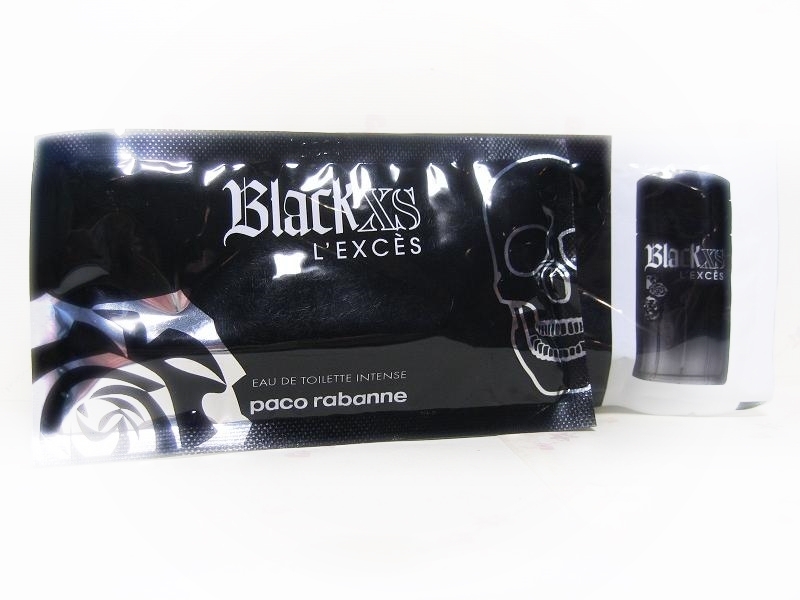 Black XS L'Exces for Him was launched in 2012. The nose behind this fragrance is Fabrice Pellegrin. 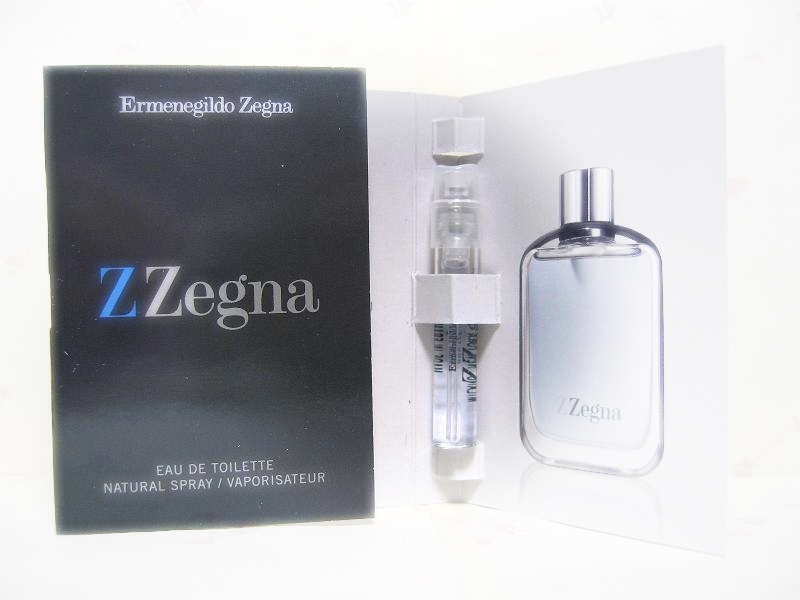 Top notes are lavender and amalfi lemon; middle note is cypriol oil or nagarmotha; base notes are patchouli and amber. 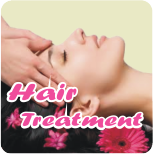 The fragrance contains a mix of bergamot, pink pepper and patchouli. The face of the perfume is ballet dancer Benjamin Millepied. "You can wear it every day, all day. I like it because it's fresh and youthful, but masculine at the same time", said Millepied about the fragrance for Allure.